Josh Einiger reports from Elizabeth. 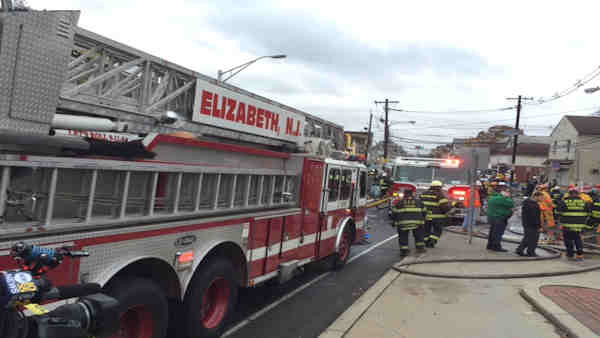 ELIZABETH, N.J. (WABC) -- One person is dead, 15 injured following an explosion at a house in New Jersey. A person who was earlier unaccounted for has been found safe. The blast happened at 8 a.m. Wednesday on Magnolia Avenue between Catherine Street and the Route 1 overpass in Elizabeth. A "gas episode" is the cause of the explosion, said Elizabeth Mayor Chris Bollwage; the investigation continues. Crews were digging up much of the avenue in search of the cause. Officials said there were no complaints Tuesday of gas; however, when crews arrived at the scene, there were people in the neighborhood who told first responders that they smelled gas. A fire broke out after the explosion, which happened on the second floor, but it self-extinguished. Emergency officials said the person who died is a man in his 20s. He was found in the second floor rear of the building that collapsed. His name has not yet been released. At least two people were critically injured and were taken by helicopter to the burn unit at St. Barnabas Hospital in Livingston. The 13 others were taken to University Hospital in Newark and Trinitas Hospital in Elizabeth. Trinitas received six patients. A 19-year-old woman was the most seriously injured. A 35-year-old woman also is being treated there. Three victims from the same family, a 38-year-old woman, a 10-month-old boy and a 50-year-old man, are being treated at Trinitas. An 8-year-old girl from a house three doors away is being treated after a mirror fell on her. Emergency responders immediately started combing through the rubble, where they found several of the victims. The building was searched with no other victims located. Rescuers used dogs to search the debris further. The majority of the damage is in the back of the home. Most of the people inside were in the rear of the building at the time of the blast. Some were sleeping. Seven surrounding buildings were impacted, but those occupants were uninjured, officials said. At least two buildings will be demolished. All nearby buildings will be inspected. The building where the explosion occurred is a two-family duplex. The explosion demolished the two houses on either side of the home. All three houses were new construction. The explosion also blew out windows along a two-block radius, and some nearby residents were thrown out of bed, according to a Union County spokesperson. The area is cordoned off in a three-block zone from Route 1/9 to Madison Avenue. 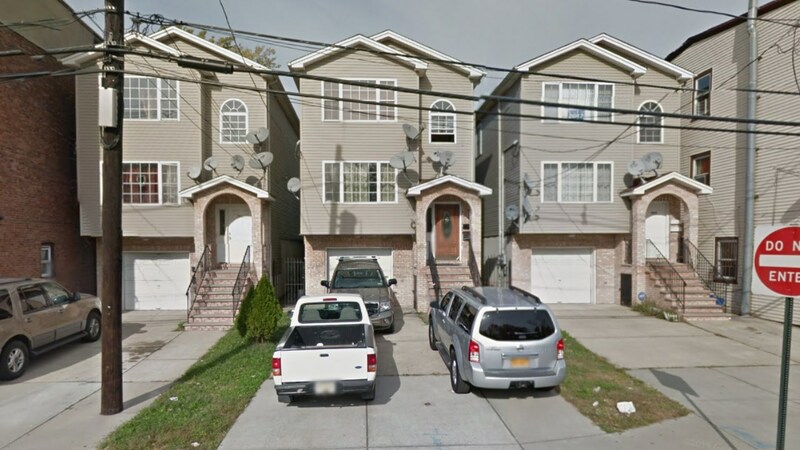 A house exploded in Elizabeth, N.J., on Magnolia Avenue. The Red Cross is on scene assisting families. There are at least 30 people affected. Coshma Baker cut up his feet on broken glass after the explosion knocked him out of bed in the morning. Wednesday night he was staying at the Red Cross Center as he relived the chaos. "I got up, I'm looking at the guy next door in the window and he's yelling, 'Come on, come on!'" Baker said. "You seen the house, look at it! Second floor in the first floor, unexplainable, unexplainable." They are providing assistance for temporary lodging. There is a staging area at the Second Macedonia Baptist Church, 1251 Fairmont Ave.
Barbara Fortes returned to the block for the first time since the explosion. She's lived three doors down for 52 years, but just happened to be away Wednesday morning. "It's really sad, so many people were hurt and someone was killed," Fortes said. "All the people now out of homes, and it's getting ready to be wintertime and they don't have anywhere to stay."